The XCEL Program is a competitive gymnastics team governed by USA Gymnastics that allows for more flexibility and creativity in choreography of routines for both the gymnasts and coaches. The goal for XCEL is to provide the same quality competitive gymnastics experience with a little less time commitment and slightly lower fees then normally found in competitive gymnastics. It is a great opportunity for gymnasts receiving their first taste of competition experience, or for multi-sport athletes that are looking for a bit more flexibility. 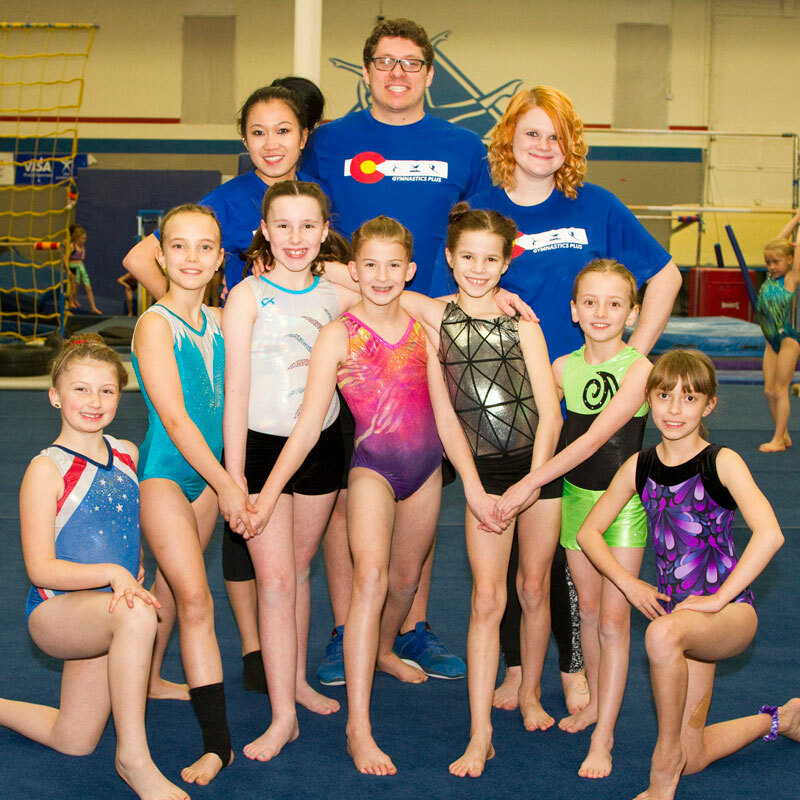 At Gymnastics Plus, the focus is to provide an opportunity for every gymnast to have the chance to compete and thrive in the sport they love as well while providing families with another option that might allow more time for outside activities. Our XCEL team members are athletes that started as recreational gymnasts and were invited to try out for the team. They currently train two nights a week year-round, and in compete in local competitions in the Denver Metro area.